We are available 24/7 for electrical emergencies, click here for more info! Lighting, faulty appliances and damaged power lines all cause power surges from time to time. 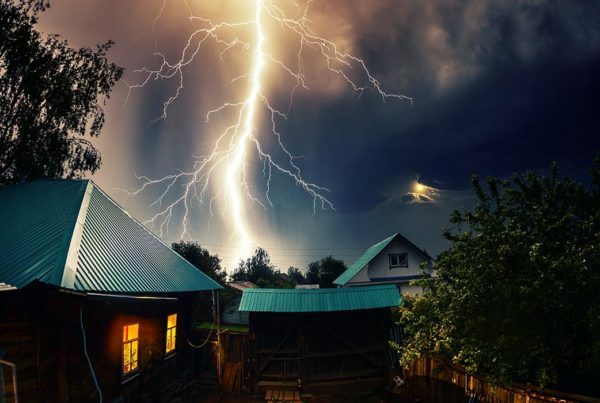 However, while the surge itself only happens for a microsecond, frequent surges can eventually damage your home’s electrical components and degrade their life expectancy. Try removing cheaply made devices from your home’s outlets and observe if this lessens or completely prevents the surge. If it does not, it’s best to consult an expert. 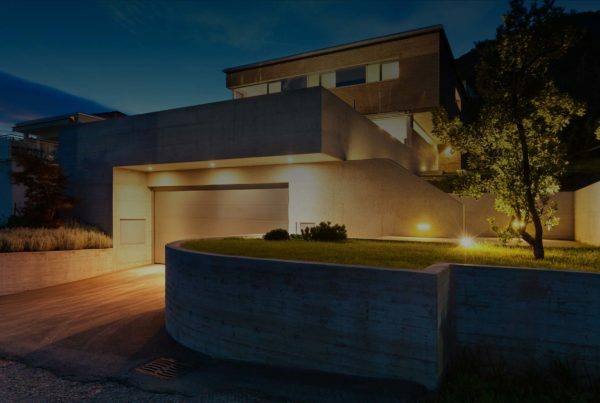 You can protect your home and equipment by having a local licensed electrician install a panel-mounted surge suppressor and plug-in suppressors on individual outlets. We also recommend identifying safe circuits or those that don’t power large appliances and use them for electronic equipment to help avoid surges. Using high wattage items like hairdryers and microwaves on the same source can trip circuit breakers. Circuit breakers are designed to protect your home, so when it trips, it’s doing its job. That said, it’s best to avoid tripping circuit breakers too often as it can cause a circuit overload. Lessen circuit breakers by limiting the electrical use on a circuit when using high watt devices. You can also use a lower setting on the appliance you were using such as on a hairdryer. Make it a habit to remove devices that are not being used like phone chargers, as these can still draw power. 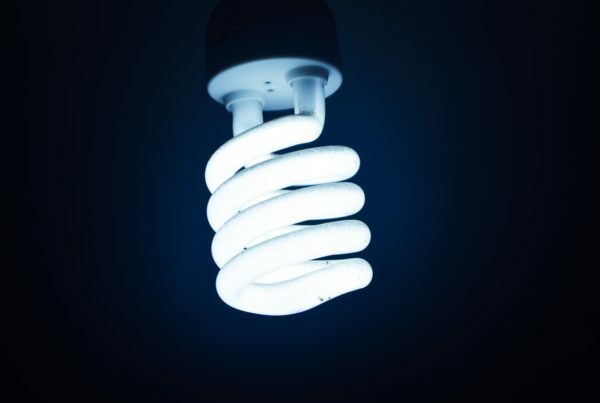 It’s also best to spread your electrical usage around the house to not overburden a single circuit. Flickering lights are often a sign of poor electrical connections. Fortunately, their source is very easy to locate as you simply need to trace the connection by taking note of which lights are flickering. If all the lights are flickering, then you have a bad connection in the panel. Most electrical companies offer emergency electrical repairs for this lighting problem to avoid further issues. If the flickering bulb is only in one room, however, the problem is most likely just a bad switch. With the right tools, you can fix this yourself by replacing the light switch. 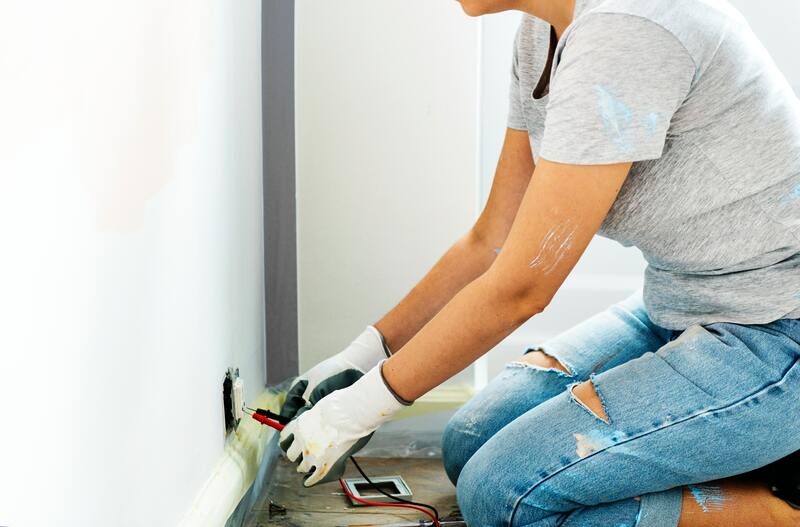 When doing so, take the time to check the connection of all the outlets in the room as some may be wired to the light circuit. ECS Services NSW offers 24/7 electrical services to help you deal with these issues smoothly and efficiently. We offer a wide range of services, from fault finding to surge protection. Schedule a consultation with our team today and get a free electrical quote. What is and isn’t an emergency electrical job? Very happy with choosing Edward to do my electrical work. He arrived on time, kept me updated all through the job and cleaned up after finishing. A pleasure to deal with. Edward was great to deal with. Extremely pleasant both on the phone and in person. He turned up on time and completed all the work that needed to be done in a timely and efficient manner. Very happy with the quality of service and the price. Would highly recommend Edward. Honestly one of the most genuine, hard working, and reliable tradesmen I've ever met. After 4 days of dealing with inferior electricians who either don't get back to you after you call, or don't show up when booked it was a breath of fresh air to finally find someone I rely on. I would definitely recommend Edward to anyone, I'll definitely keep his number, and use his services again in the future. Ed is the best! Very reliable very kind, very knowledgeable! I will recommend him to everyone I know. This is the best local electrician i can find. Ed is very helpful and quick to respond. I had a entire house power outage due to storm last late friday, he is able to respond my requests quickly, isolate root cause and provide options. Ed has a very great attitude and go extra step to help negotiate with local power suppliers help restore the service. What i can say it is, use this company, you wont regret! Very efficient, helpful and friendly service. Fixed multiple issues in under half an hour. Thanks so much. Edward is friendly and did what I asked in a quick and professional way, and tidied up the areas after work. Happy with the result! Fixed the problem over the phone. Nice service. Really helpful. Thanks Edward! Really fantastic, quality service. Quick and comprehensive response to my initial online enquiry. Job done within two days of making contact. Great professional service with real care and time taken to ensure the works were both compliant and as per our request. I absolutely recommend Edward.